There’s nothing nicer on cold, dark winter days than cosying up in the kitchen and warming yourself up with a spot of cooking. In this issue we’ve got lots of delicious ideas to make the most of this season’s produce, from some clever new ways with sprouts on p.69 (yes, they really can be moreish! 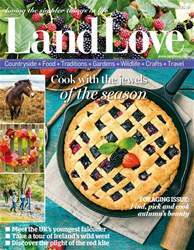 ), to some heart-warming oven bakes on p.62, as well as our fantastic ideas for your Christmas lunch on p.58. We’ve also got some gorgeous recipes for home-baked gifts to give to your friends and family over the festive season – my favourite is the hazelnut brittle, it’s divine(p.50). Talking of Christmas, make sure you turn to p.84 to see our quick and easy ideas for homemade cards and giftwrap, while on p.90 we’ve got some utterly adorable projects for creating angels and fairies for your tree that all the family can make from goodies gathered from the forest floor. And, if you’re keen to give your festive decorations a natural feel this year, I hope you’ll be inspired by our simple decorations on p.18 and our easy to make Christmas tree on p.28. If you’re not deterred by the cold weather, then wrap up warm and head for the Devon coast for this year’s Clovelly Herring Festival where you can tuck into some tasty, nutritious ‘silver darlings’ (p.102). 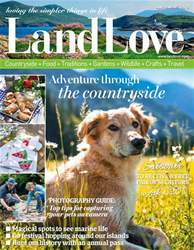 Or, if afternoon tea is more your thing, turn to p.112 where we’ve picked our favourite places around the country to tuck into tea, cakes and scones. 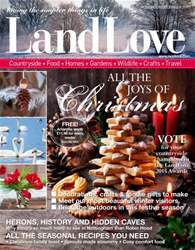 We’ve also met some fascinating artisans in this issue, from the bakers who make traditional Grasmere gingerbread (p.44) to a talented and meticulous bookbinder who is keeping an age-old craft alive (p.106). 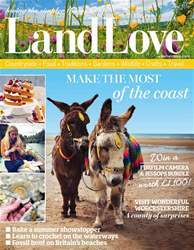 Do tell us about what you make, bake or visit over the coming weeks and send us a photo for our letters page (p.12.). 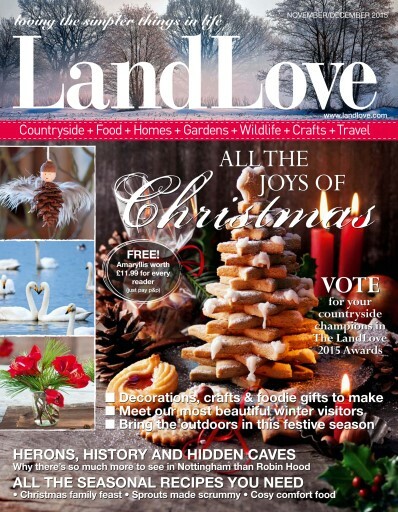 Finally, I’d like to wish you all a very happy Christmas and New Year from all the LandLove team.